​​Welcome to our website. We are a full service travel agency that is passionate about travel. We provide top notch travel service to the traveling community. We specialize in destination weddings, romance travel, groups, family reunions, and group cruises with destinations around the world. If you can dream it, we can make it happen for you! ​Browse through our website to see all the wonderful places you can go. 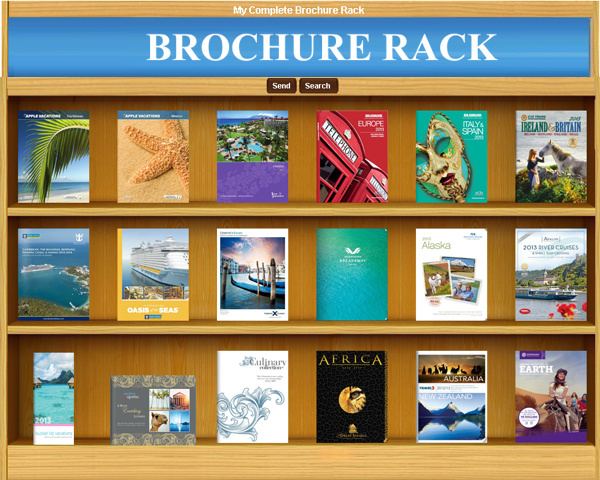 We have a very expansive E~Brochure rack below! But please call or email us or use our online quote form to make sure you go to the right resort in the right destination! All resorts and destinations are not created equal! We want you to enjoy your vacation, get the room you expect, and make memories that you enjoy reminiscing about. ​​We also have gift certificates to give the gift of travel! You may purchase any denomination you would like. Just click on the certificate to purchase.